Fear is an emotion that seems at first glance to be very obvious and simple. You might recognize fear as the feeling in the pit of your stomach that makes an activity feel entirely uncomfortable or scary. Fear can appear when something so startling happens that you freeze in your tracks. Fear may also rear its ugly head when you are feeling protective of someone and when a threat is near. Because fear is so overwhelming, it is easy to let it overtake us. In order to overcome fear, the first step is understanding it, both the reality of the situation and what is causing the fear to begin with. Let’s unpack fear for a minute so that we can understand what it is at its core and the many forms it may take within climbing and within life. Google’s definition of fear is “An unpleasant emotion caused by the belief that someone or something is dangerous, likely to cause pain, or a threat.” After reading that definition, I am struck by how climbing fits into this definition and at the same time…how little it does. Sure, there are inherent dangers in climbing, but aside from our belayers making poor decisions, the only “someone or something” that is likely to threaten us or cause us pain while climbing is ourselves. Think about that sentence for a minute. 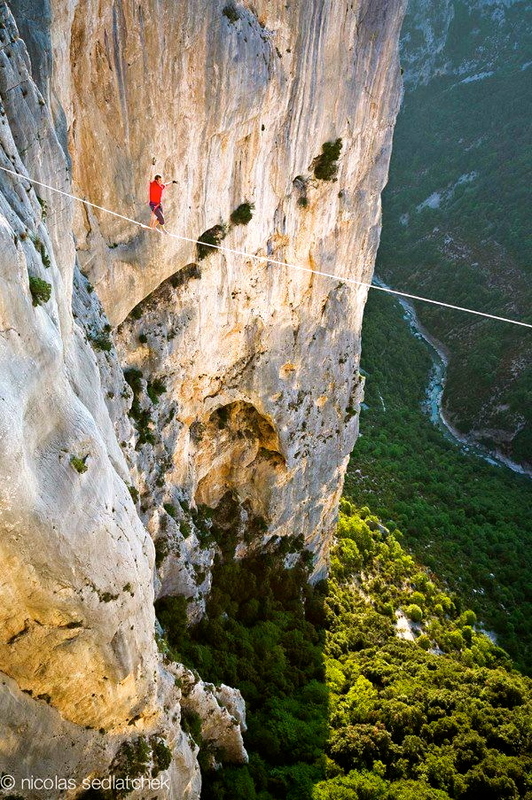 Think about the most scared you have ever been on the wall (or in life if you are not a climber). What made you fearful? Just the idea of falling? If it was, did you end up falling? If you fell, was it more fear inducing thinking about the fall or actually falling? I think the vast majority of people (when they’re being real with themselves) would agree that the fear of possibilities while climbing is scarier than the fall itself. And that fear of possibilities came from somewhere within you and most likely was part of your reason for falling. The skeptics in the audience may argue that some rock climbers die and thus there is ample cause for concern and fear. I’ve found the best way to understand a fear is to know the facts, so let us look at the numbers. Because of the way statistics works, it is difficult to compare the above numbers like you would apples to apples (4,9). However, one climber, Steph Abegg, has determined per extensive statistical calculations that a climber is 313 times more likely to get in a traffic accident than climbing accident, 182 times more likely to get injured in a traffic accident than in a climbing accident, and 10 times more likely to die in a traffic accident then in a climbing accident (7). The point is that the vast majority of us decide to participate in most of the activities above (driving, flying, having children, undergoing surgery) though these activities provide a risk of accident or death—and if we could compare them equally, may even be a higher risk than climbing. However, the point is that everything in life, every choice we make, is a risk and most of the time, those risks are deemed to be worth taking. Is that not because the benefits outweigh the potential risks? Just like a surgery for a chronic painful back injury might be so much a pro that it outweighs the possible risks of anesthesia, I would guess most climbers would say the pleasure and feeling of accomplishment they get from climbing outweighs the potential risks of climbing. The smartest and least fearful climbers are those that accept these risks (and the possibility of death) and also take as much control of the risks as they can to feel comfortable continuing to climb and climb at their peak. Per two sources, 15-16.9% of climbing accidents and deaths were due to climbing unroped whether that is free soloing, rock scrambling, or falling off a cliff without being attached to an anchor of some sort (5,7). This is lower than was seen between 1998-2011 in Boulder, CO, where out of 23 climbing fatalities, 9 (39%) were from unroped falls (8). Per the 1951-2006 statistics on mountaineering accidents, 1.2% of fatalities or accidents were caused by failure to follow directions, 2% to the party being separated, 3.4% to inadequate belay, and 6.6% from climbing alone (7). Rocky Mountain Rescue Guides found per their statistics that “20% of all accidents could have been prevented by better belay practices such as tying a knot in the end of the rope, or wearing belay gloves” (6). Again in Australia, 10 out of 25 climber deaths between 1955-2004 were due to lead falls (5). 30% of climbers rescued between 1998-2011 in Boulder, CO were lead climbing (6). 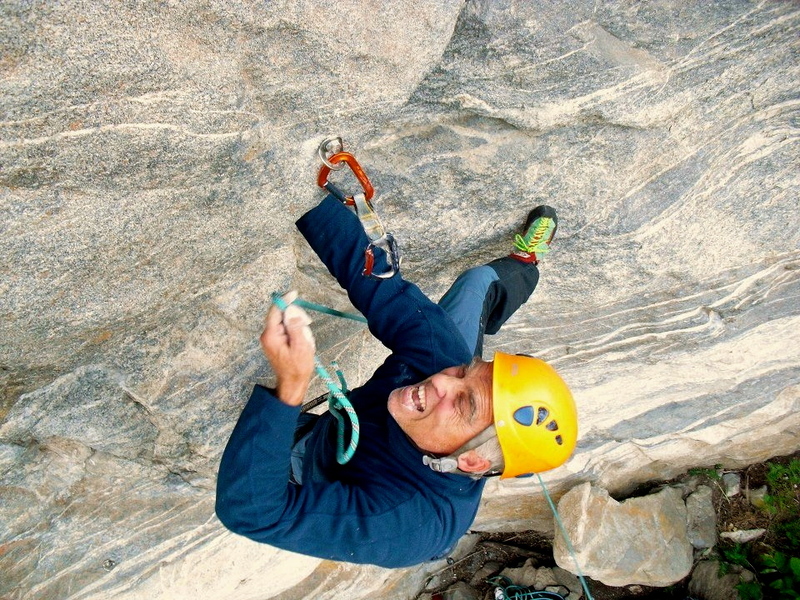 There is no doubt that lead climbing is more dangerous than top roping, but it seems that most of those serious injuries or deaths are due to specifically exceeding abilities on lead. 15.1% of accidents and fatalities in mountaineering between 1951-2006 occurred due to exceeding abilities (7). Accidents are also far more likely to occur when pushing the grades, especially at grades 5.12-5.18 (this includes the a, b, and c grades) (5). We spend a lot of money on equipment, and the reality is that equipment is far less likely to fail us than we are to fail ourselves in setting it up appropriately. Based on mountaineering statistics from 1951-2006, only 0.2% of accidents were due to equipment failure while 12% were thought to be due to placing no/inadequate protection and 1.7% from failing to test the holds (7). Rocky Mountain Rocky Guides determined that anchors only fail in 2.5% of recorded climbing incidents per their statistics, “and when they do it is because of inexperience in setup” (6). This group also found that “prior knowledge of climb rappel anchors and walk offs, and taking a headlamp, will prevent a lot of rescues (up to 45% total)” (6). Moreover, they recommend learning about wilderness rescue techniques such as assessing spinal injuries and improving a splint. (6). With the facts in front of us, we can make more informed decisions and have the ability to examine how realistic our fears are. 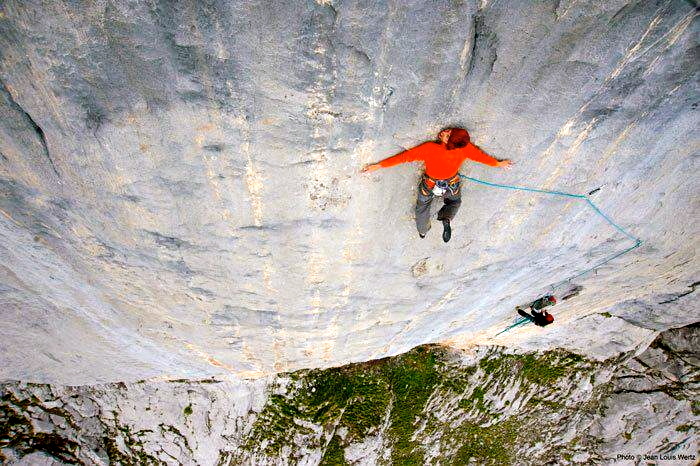 Are fears entirely unfounded in climbing? No. In fact, fear is an evolutionary response to protect ourselves from harm. However, there is a point at which fears limit us so much that we can’t do what we 1) Want to do and 2) Are capable of doing. Going back to the scariest moment in your life on the rocks (or elsewhere): What were you truly scared of? Falling is NOT the real answer! There is something deeper within you that is making you think you will fall and allowing that to be the reality. Why do you think she writes “If I don’t focus completely…?” I have a feeling it is because she is like many others and myself. I have a feeling it is because there is a voice within her asking whether she is capable of succeeding at this next move, criticizing her abilities, and also scared to go higher and be better than before. This voice must be silenced through focus in order to continue. This underlying fear may truly be a fear of failure (if I don’t succeed at the next move, I will fail myself), a fear of heights (if I succeed, I will be even higher than before, which scares me), a fear of change (if I make this next move, that means I’m now a 5.10 climber and no longer a novice), a fear of other people’s opinions (if I don’t make this next move, people will think I am a bad climber), or any number of fears. Notice that none of these are directly related to a fear of “falling.” Falling is only the direct outcome of having fears and being limited by them to the point where they are debilitating and preventing progress. 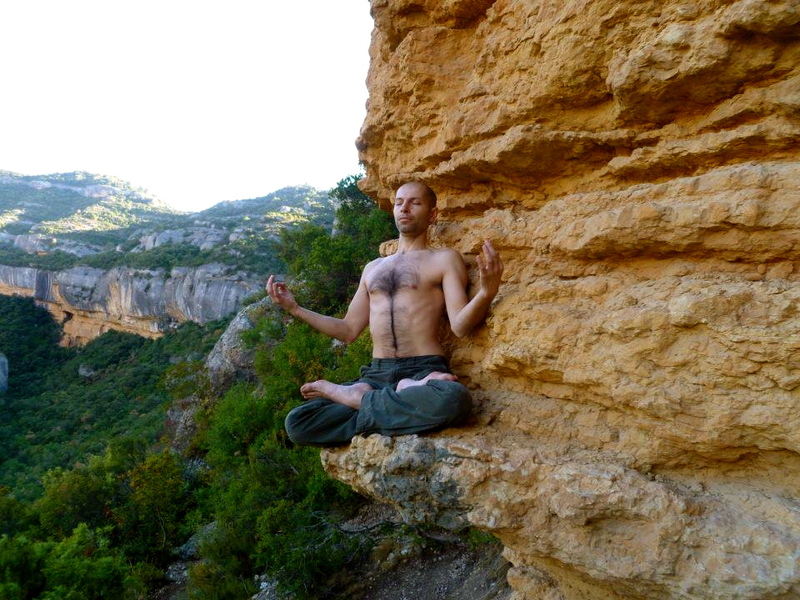 Fear leads us to tense up and breathe rapidly and increases the chances of falling (and hurting oneself falling). And here, we come to the logical crux: Fear makes us fall. Falls (especially those when tense) lead us to pain and harm. In order to avoid more pain and harm, we fear more…and fall more, and that cycle will continue unless you stop it. Think about your most fearful moment again. In this moment, what were you thinking? Were you to catch a sentence mid-thought, would it have been oriented externally (“What are they thinking of me right now? Oh, I’m so embarrassed”) or internally (“Why did I get on this climb? I’m just not good at overhangs; I don’t know why I bothered.”)? Was it negative (“I’m just going to have to come down.”) or positive (“Okay, calm down. You can do this. Just breathe, focus.”)? Were you thinking about how to complete the next move or honestly just freaking out? Our thought process is where our fear begins and takes hold. It reflects how we have coped since we were children and is also telling of exactly what we fear and why. For example, if you find your thoughts drift to how your dad would always tell you that you were never going to amount to anything when you are leading a difficult grade, then that is your place to start! Not only will climbing identify these thoughts and eventually bring you to identifying fears, but climbing will give you the opportunity to face them head on! The next time you experience fear (as long as this is not truly an emergency situation), remember this is the perfect time to *learn* something about yourself and your fear. 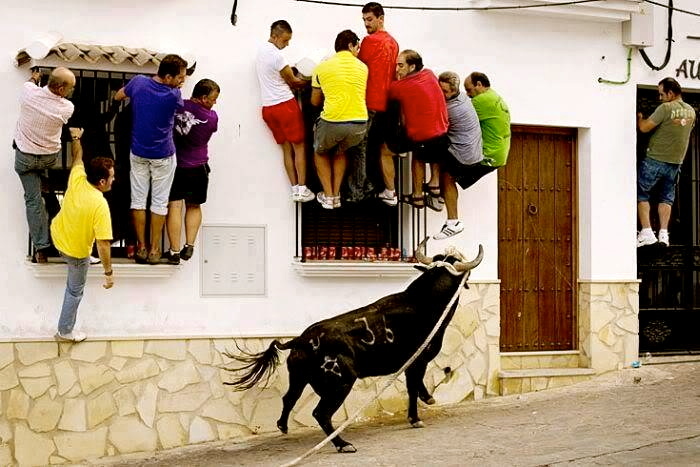 When you most want to forget and avoid experiencing again and everything is telling you to get off the wall, STOP. BREATHE. Catch a thought in mid-air and think about what you’re *really* scared of. Up next, I’ll write about how to begin overcoming your real fears. Photos used from this post are from Climbing Lovers. Please take time to check out and like Riza Kurt’s Facebook page Climbing Lovers at https://www.facebook.com/weareclimbingloversrizakurt?fref=ts. 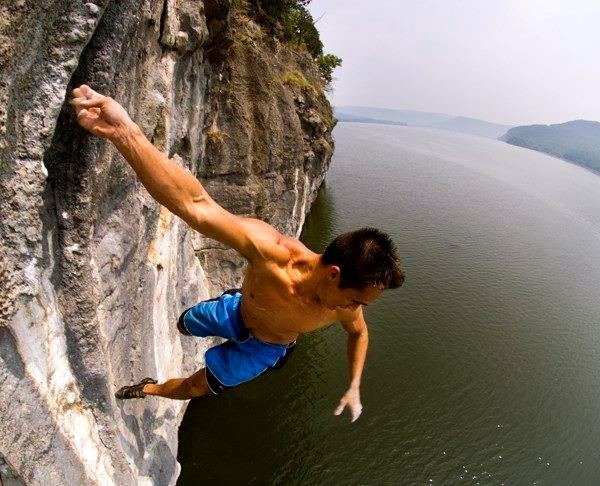 He does a really great job posting pretty cool climbing pictures, so show your support and like this page! The risk of dying in a place crash is grossly over-estimated. According to the reference cited, the risk is 1:125 million passenger trips. And I find it very hard to believe that my fear of twisting an ankle, breaking a wrist, or smashing my head in has anything to do with my completely benign childhood. I simply don’t want to get hurt. Though I appreciate the author’s attempt to address a very complex topic, I think the article got lost along the way and diverged down a path that has little to do with risk and fear in the context of climbing in a way that is relevant to most climbers. A more meaningful discussion might address how individuals rationalize and personalize risk, how risk translates into fear (which is where I thought this was heading initially), and how fear limits performance. First and foremost, thank you so much for taking the time to read the article and your critique. The article is a several part series because indeed it is a very complex topic. The author’s major goal with this article was to really set a solid foundation establishing fear in a general way and to establish the fact that although climbing is dangerous, there are many other things that are just as dangerous. And there are many things we can do on our part to stay safe, hence to alleviate fear of climbing because of potential accidents, and so on. And you are right, part of that is assessing and accepting the risks. Anyone that knows me, before my finger injury and I was pushing grades, when approaching a major crux, I look down at my belayer and I say very calmly, “I accept the consequence of the fall, just watch me”, most get taken away when I say that at first, but then learn that I really meant what I said, I really really assessed my risk and decided to go on full force and I just want my belayer to know I am going full force! There will be an article in specific to climbers on how to overcome specific fears, like leading, heights, outdoor climbing, and so on. But I felt like because the topic is so complex, it would be good to break it up. Next we will work on the next biggest challenge, approaches on how to identify fear and overcome it. Next I would want to focus on performance specifically, like leading, I meet so many folks afraid to lead, and understandably so, but we want to help folks conquer those fears if they have a goal to lead and so on. I really want to thank you so much for your comment, I have a huge base of readers and we try to build the articles to help everyone, which is why someones I have to do multiple part series to generalize, set a basic foundation then get into more detail. Thanks for your support and feedback!